Unlock instructions will be provided with unlock code. All versions supported : E, Es-2, Bs-2, Ds-2, S-2, U-2, U-5, U-12 and others. to work with other networks. Supported models. Vodafone R205 R206 R207 R215. Unlock instructions will be provided with unlock code. All versions supported : E, Es-2, Bs-2, Ds-2, S-2, U-2, U-5, U-12 and others. to work with other networks. Huawei Flybox E5180. Huawei Flybox E5180s. Unlock instructions will be provided with unlock code. Easy to follow step by step instructions. Fast, Safe and Easy to use unlocking solution. 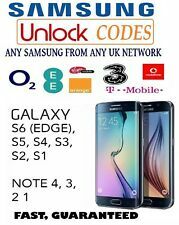 Unlock Codes for O2 UK locked Samsung Phones Models. Before ordering unlocking service ensure your phone is actually locked to O2 GB, you can check by inserting a non-supported SIM card, if locked you will be prompted for a "Network SIM Unlock PIN". Unlock instructions will be provided with unlock code. to work with other networks. Fast, Safe and Easy to use unlocking solution. All versions supported : E, Es-2, Bs-2, Ds-2, S-2, U-2, U-5, U-12 and others. Use our checker before buying used or new Samsung smartphone. 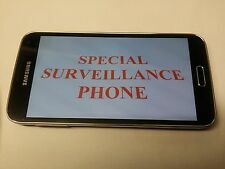 Check information about your Samsung cell phone - model, serial number, manufacture date. All Samsung models are supported. Manufacturer: P518 Samsung Electronics Vietnam. Before ordering unlocking service ensure your phone is actually locked to O2 GB, you can check by inserting a non-supported SIM card, if locked you will be prompted for a "Network SIM Unlock PIN". 100% Genuine FACTORY UNLOCKING Service. UNLOCK CODE SAMSUNG GALAXY S9 S8 S8 S7 Edge S7 Plus S7 S6 S6 EDGE PLUS S5 S4 MINI NOTE 4 3 VODAFONE EE O2. Only UK Network Locked Samsung Unlock Code. IF YOUR PHONE IS HARD LOCKED THEN PHONE WILL NOT ASK FOR THE CODE AND WHEN. CHECK YOUR PHONE NEED ONLY "SIM NETWORK UNLOCK PIN " OR NETWOTK UNLOK CODE ONLY WE CAN ONLY PROVIDE YOU NCK. O2 UK ONLY ALL SAMSUNG SERIES A TO Z SERIES ALL SAMSUNG PHONES. THIS SERVICE SUPPORT ALL SAMSUNGS PHONES FROM O2 UK ONLY. ALL IPHONES SOLD BY O2 SUPPORTED XSXS PLUS X 8 8PLUS 7 7 PLUS 6S 6S PLUS 6G 6 PLUS 5SE 5S 5C 5G 4G 4S 3G 3Gs. WE DO THE REST. Unlock ANY Blackberry on Any network. (This service does NOT Support Blackberry 9320, 9720). This service does not support Blackberry 10 devices(Z10/Q10). Your phone will be unlocked to any sim that the handset model supports. HTC Unlock Code. HTC UNLOCKING CODE. Model Supported : - HTC all MODELS. IF YOUR PHONE IS HARD LOCKED THEN PHONE WILL NOT ASK FOR THE CODE AND WHEN. Unsupported Countries However if we are online outside these hours we will. Your network check results will confirm your phone's network, the lock status (if it is unlocked to all networks or not). In order to provide you with your network check results for any iPhone handset we will need to know thing to assist you. UNLOCK CODE BLACKBERRY PASSPORT 9720 9320 Q5 Q10 Q20 Q30 Z10 Z30 VODAFONE UK. THIS SERVICE SUPPORT ALL PHONE LOCKED WITH VODAFONE UK. .EXCEPT IPHONE. MOST PHONES IN 30 MINUTES. AS FAST AS WE CAN. HTC Unlock Code. Model Supported : - HTC all MODELS. HTC UNLOCKING CODE. IF YOUR PHONE IS HARD LOCKED THEN PHONE WILL NOT ASK FOR THE CODE AND WHEN. Phone Model. 100% Genuine FACTORY UNLOCKING Service. HTC Unlock Code. HTC UNLOCKING CODE. Model Supported : - HTC all MODELS. IF YOUR PHONE IS HARD LOCKED THEN PHONE WILL NOT ASK FOR THE CODE AND WHEN. However if we are online outside these hours we will. But what do you expect!?. We're talking about Google - the search engine that looks into OVER 200 ranking factors and has a convoluted algorithm. On the other you've got a service that takes your app all the. After installing users can uninstall or keep for as long as they want. So you can be sure of high quality real installs that will not compromise your app or account. We do not use bots, vpn or cheap low quality installs. UNLOCK CODE SAMSUNG GALAXY S9 S8 S8 S7 Edge S7 Plus S7 S6 S6 EDGE PLUS S5 S4 MINI NOTE 4 3 VODAFONE EE O2. Only UK Network Locked Samsung Unlock Code. All UK Network locked. S9S9 plus supported . Supported Models: 4, 4S, 5, 5C, 5S, 6, 6 Plus, 6S, 6S Plus, 7, 7 Plus, 8, 8 , X. This is an official factory unlock and does not involve jailbreaking, hacking, etc. Turn OFF 'Find my iPhone'. We are confident that your phone is unlocked when we dispatch your order. UNLOCK CODE SAMSUNG GALAXY S9 S8 S8 S7 Edge S7 Plus S7 S6 S6 EDGE PLUS S5 S4 MINI NOTE 4 3 VODAFONE EE O2. Only UK Network Locked Samsung Unlock Code. All UK Network locked. S10 S10 S9S9 plus supported . But what if you could make your own ringtones?. Well, using this toolkit, Yes, you can! This software toolbox gives you all the tools you need to make your ringtones from mp3s, CDs, tapes, vinyls, and there's even bonus software to let you grab audio files from DVDs.